What are you doing on Saturday 9th April? 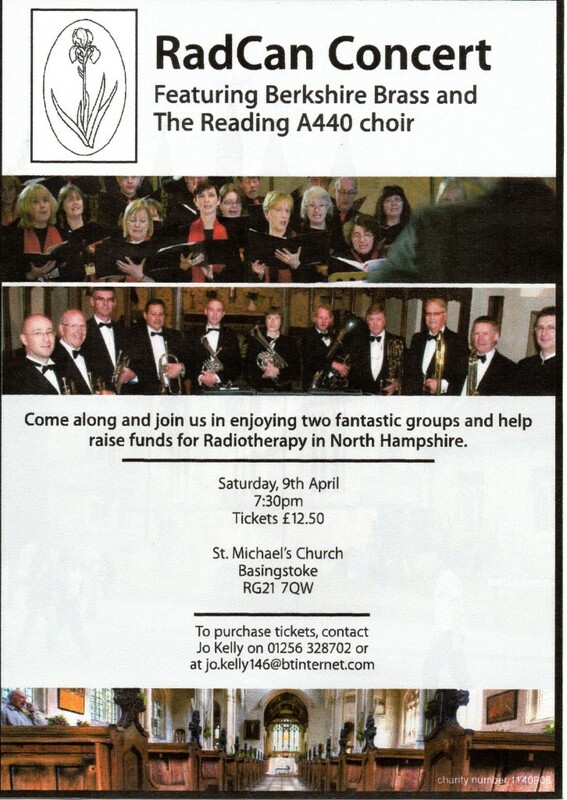 If your answer is “nothing planned as yet” why not come along to our concert which is being held in St Michael’s Church, Basingstoke? Taking part are Berkshire Brass and The A440 Choir and before the concert starts you will be welcomed with the sound of organ music provided by a local organ student. The concert will start at 7.30pm and tickets are priced at £12.50. All proceeds raised will go towards purchasing much needed equipment for the Radiotherapy Unit at Basingstoke & North Hants Hospital. If you would like to purchase tickets, or have any queries, please contact Jo Kelly on 01256 328702 or jo.kelly146@btinternet.com. This entry was posted in RadCan News, Sponsorship, Sponsorship Events by Chris Albery-Jones. Bookmark the permalink.